Used For: The remedy is applied to boost metabolic rates, and induce urination. It is also known for its excellent astringent properties. 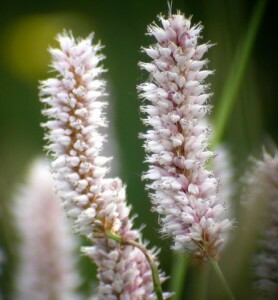 Bistort is highly valued due to its astringent potency. It is successfully used as an injection or a gargle in case of leukorrhea, dysentery, diarrhea, and cholera. Being spread over the sore externally, the herb extract will effectively stop bleeding. To treat nasal conditions, the herb is combined with a part of raspberries. Additionally the plant is applied for killing helminthes, treating snake and insect bites, ruptures, jaundice, pimples, measles, and smallpox. When mixed with plantain, it is applied for treating gonorrhea. To control menstrual bleeding the remedy is used as a douche. Additional Info: Bistort belongs to perennials and is indigenous to mountainous regions in the western areas of Rocky Mountains, and Europe, as well as in damply areas like river banks and moist meadows. The root has an S-form, and may reach up to 3 feet in length, being black-colored outside, and red-colored inside. It is covered with traces from the leaves. The leaves have green color. The flower blossoms from the end of spring to the end of summer. Preparation and Intake: For a decoction take 2 teaspoons of rhizome extract and fill them up with a glass of water. Boil it up for 7 minutes on average. This should be used in a quantity of one cup a day. Commonly mixed with plantain and raspberries for different purposes (See the reference above).